Last night I finished reading a horror Coming-of-Age novel that I really adored. Not only it brought me back to my childhood, it made me scared of the dark all over again. 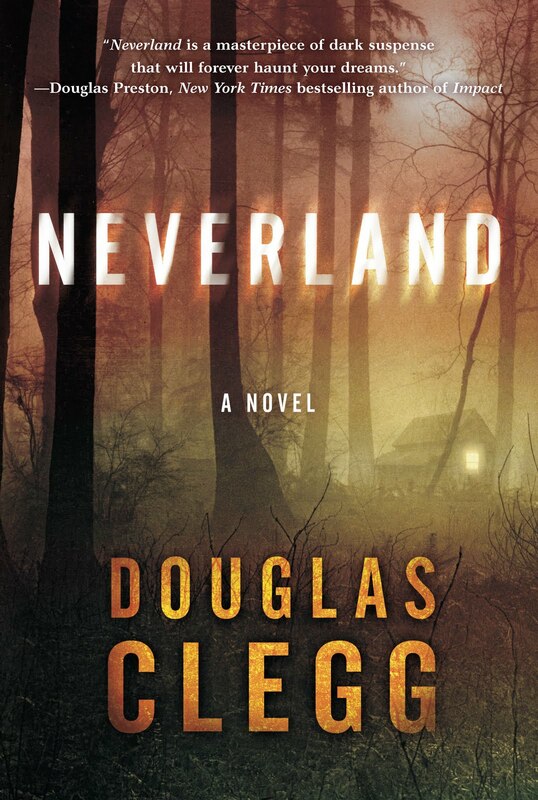 That novel was Neverland by Douglas Clegg. The narrative impressed me both with the spooky feeling it created and its rite of passage nuances. Starting to love the book I am reading - took a while, but a story about a very different (spooky) Neverland - just had to be good! “Naw,” I said, feeling the hamster’s soft, still fur—it was creepy and beautiful and mysterious because it felt so different from when the animal had been alive. My sisters and I giggled, knowing what all children know: Sometimes it’s fun to be bad and gross. Before this particular summer I had always stayed to the paths, I had always been under the shadows of grown-ups, and I had always been a good boy. I was tired of it. But I went with my cousin because we were both boys, and boys will always go where they know they shouldn’t. When you’re ten, death is less horrifying than it is fascinating. Sometimes I thought of stories I’d read or movies I’d seen, and I would just pretend I was in that world and not this one. But I knew it was just pretend. In Neverland I sat on the edge of a rusted-out old wheelbarrow and thumbed through the Playboys. Sumter had gone through and sketched moustaches or broken teeth onto the girls’ faces. I was thrilled to have this secret life in a secret place, to have given a blood oath, to be somehow part of a world alien to the master-slave relationship of parent and child. Thrilled, yes, and ashamed, too—gleefully ashamed. As I stood there, shivering not from cold but from fear, how was I to know that I was making a choice? When you stand at the border of the land and the sea, it is clear where one leaves off and the other begins. But where lies the boundary between the perceived world and the imagined? I wanted to do things you’re not supposed to do until you’re twenty and married, and I didn’t even know what those things were. Our parents were always at war, with each other, with alcohol, with the humidity, and the wars all began the way wars do: with a single shot, and this filled with bourbon or gin or blackberry brandy. Gothic novels down on the rocks while Nonie tanned. In other words, we spent our days in a relaxed state of boredom as if we were satiated drug addicts. When you’re just a child like yourself, you do what you want, you have choices. But when you grow up, Beau, I will tell you now, it ain’t fun. I almost laughed. Nothing seemed scary anymore—or rather, everything that had once been scary now seemed like fun. We had been drinking each other’s blood and writing dirty words on the walls. The world of grown-ups became the world of shadows. I began to hate them, to want to cut myself off from them as much as possible.